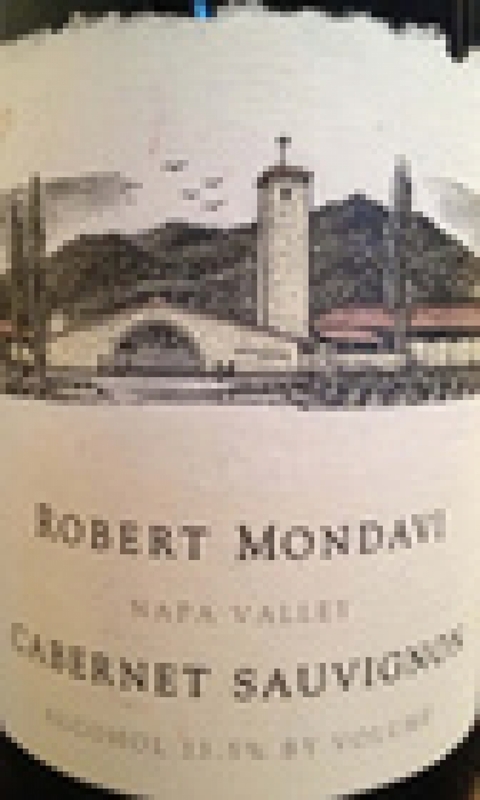 "Jeannie Cho Lee" has rated the wine "Robert Mondavi Winery Cabernet Sauvignon, Napa Valley, USA" from the vintage 2012 on 01.07.2015 with 89 of 100 points.
" A seamless Cabernet from beginning to end - gentle dark berry fruit opens up to supple texture and moderately long finish. A well-crafted, balanced, full-bodied red. 14.5% alcohol. " "Jeannie Cho Lee" has rated the wine "Robert Mondavi Winery Cabernet Sauvignon, Napa Valley, USA" from the vintage 2010 on 10.10.2014 with 93 of 100 points.
" Closed and quite shy, this 2010 combines the subtlety and delicacy that Mondavi Cabernets can have in its youth. Keep it in your cellar for at least 10 years. Tasted in: Hong Kong, China. Maturity: Drink. " "Jeannie Cho Lee" has rated the wine "Robert Mondavi Winery Cabernet Sauvignon, Napa Valley, USA" from the vintage 2011 on 10.10.2014 with 91 of 100 points.
" Subtle, savory and medium-bodied, this Cabernet will appeal to European wine lovers who prefer finesse over power. The flavors are savory and there is the distinctive herbaceous Cabernet fruit but it is beautifully handled and well crafted. Tasted in: Hong Kong, China. Maturity: Drink. " "Wine Spectator" has rated the wine "Robert Mondavi Winery Cabernet Sauvignon, Napa Valley, USA" from the vintage 2014 on 30.04.2017 with 88 of 100 points. "Wine Enthusiast" has rated the wine "Robert Mondavi Winery Cabernet Sauvignon, Napa Valley, USA" from the vintage 2014 on 08.01.2017 with 88 of 100 points. "Wine Enthusiast" has rated the wine "Robert Mondavi Winery Cabernet Sauvignon, Napa Valley, USA" from the vintage 2013 on 03.01.2017 with 84 of 100 points. "Wine Spectator" has rated the wine "Robert Mondavi Winery Cabernet Sauvignon, Napa Valley, USA" from the vintage 2013 on 31.10.2016 with 90 of 100 points. "Wine Spectator" has rated the wine "Robert Mondavi Winery Cabernet Sauvignon, Napa Valley, USA" from the vintage 2012 on 15.11.2015 with 88 of 100 points. "Wine Enthusiast" has rated the wine "Robert Mondavi Winery Cabernet Sauvignon, Napa Valley, USA" from the vintage 2012 on 11.01.2015 with 89 of 100 points. "Vinous Antonio Galloni" has rated the wine "Robert Mondavi Winery Cabernet Sauvignon, Napa Valley, USA" from the vintage 2012 on 01.12.2014 with 88 of 100 points. "Wine Spectator" has rated the wine "Robert Mondavi Winery Cabernet Sauvignon, Napa Valley, USA" from the vintage 2011 on 31.10.2014 with 88 of 100 points. "Wine Enthusiast" has rated the wine "Robert Mondavi Winery Cabernet Sauvignon, Napa Valley, USA" from the vintage 2011 on 11.01.2014 with 90 of 100 points. "Falstaff Magazin" has rated the wine "Robert Mondavi Winery Cabernet Sauvignon, Napa Valley, USA" from the vintage 2009 on 11.10.2013 with 92 of 100 points.